Preparing your first turkey dinner? Do it the safe way by following this food prep technique. 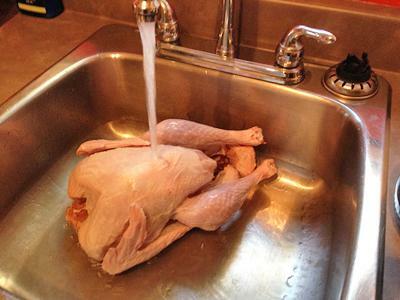 If your turkey is frozen, start by thawing it in the refrigerator or in a sink filled with cold water. Keep thawed and fresh turkeys cold in the refrigerator until you begin prepping it for the oven. 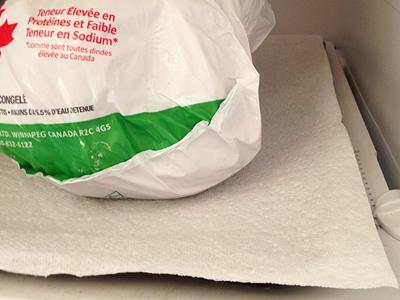 Prevent liquids in the turkey package from dripping onto other foods in the fridge by placing the wrapped turkey on a tray lined with Tiger Towel® paper towel. The paper towel will help to absorb any liquid that seeps out. When you’re ready to start cooking, preheat your oven and take your turkey out of the fridge. 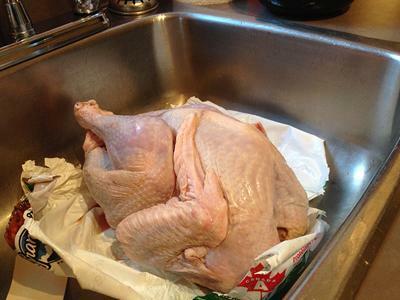 Place your turkey in the sink, open the package and remove the turkey. 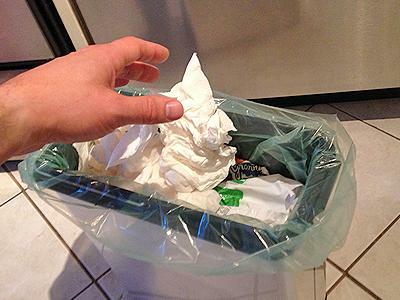 Throw the packaging away and clean up any spills right away with hot water, soap and a Tiger Towel® to avoid contamination (and so you don’t forget about it). With the packaging out of the way, remove the giblets and rinse the inside and outside of your turkey with cold water. 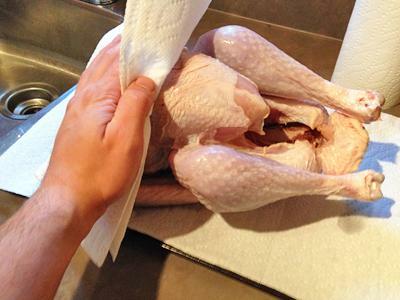 Dry your turkey inside and out with Tiger Towel®, making sure not to leave any paper towel behind (double check the inside of your turkey, just to be sure). 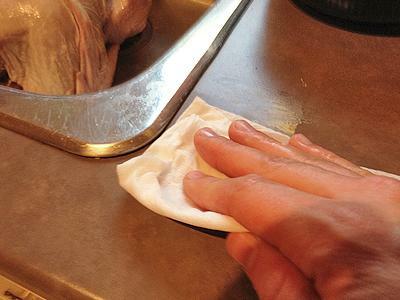 If at any time you move your turkey out of the sink (say, to the counter or to a cutting board) wash those surfaces down thoroughly with hot, soapy water and a Tiger Towel®. 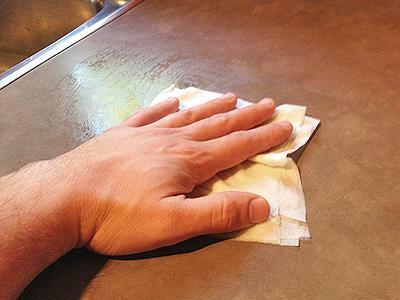 If you’ve used a cutting board, make sure that you wash it immediately with hot, soapy water and that you do not use it to prepare any other food (meats, vegetables, stuffing ingredients, desserts, etc.) to avoid cross contamination. 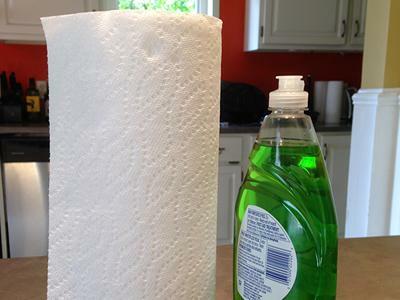 Throw away all used paper towel (goodbye germs)! 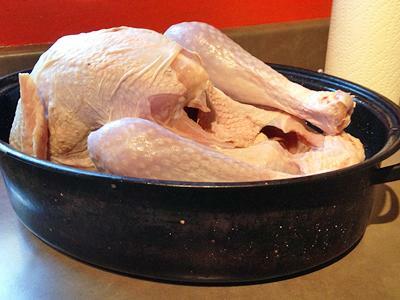 Move your turkey to a roasting pan. When the oven is preheated and your turkey is in cooking, wash your hands, and re-wash all work surfaces and any utensils that touched the turkey and its juices with hot, soapy water and Tiger Towel®. Follow recipes and other cooking methods when it comes to checking your turkey for doneness. Even when wet, ROYALE® Tiger Towel® paper towel is Tiger Strong™ helping you to keep things clean and germs at bay.